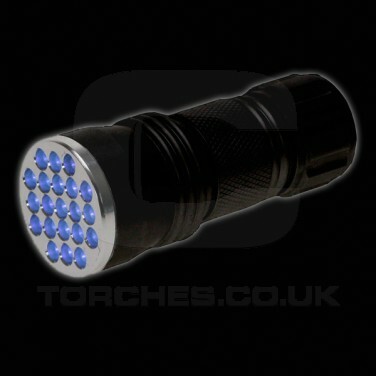 The 21 LED UV Torch is small and compact yet still powerful and can be used for many different reasons, making it incredibly versatile. 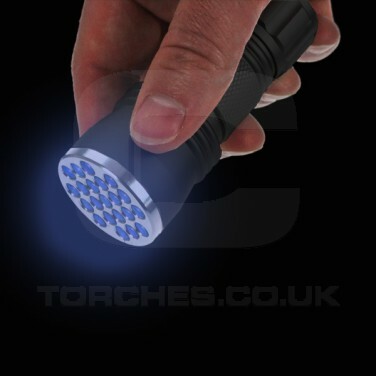 Use it in conjunction with other UV reactive materials such as illuminating UV artwork, or make up on the body and face at parties or light festivals. Get the kids to help scan money for irregularities and inconsistencies or to detect fake notes. 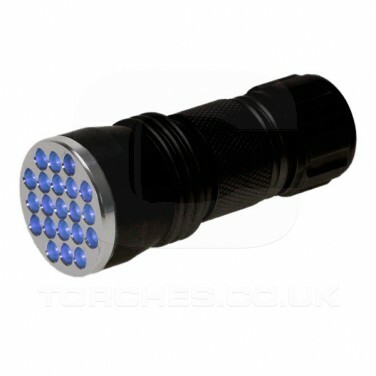 Highly practical but good fun too, using the 21 LED UV torch will keep you and your kids entertained for hours. Runs on 3 x AAA batteries (not included).